The bird announces a pie. Christmas before last my three daughters gave me a set of six matching Le Creuset items that also pretty well matched the blue in my kitchen curtains. 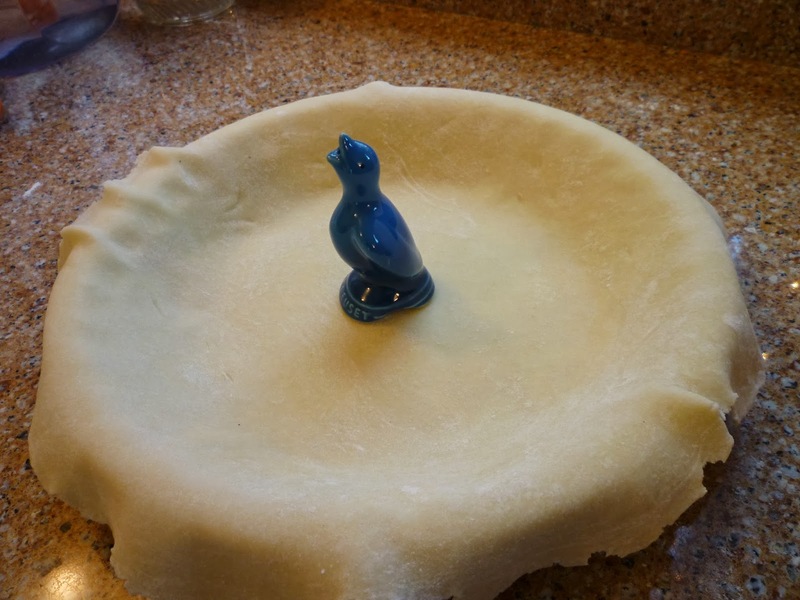 I had completely forgotten to use the pie bird until I saw him in a drawer yesterday, and putting him together in my mind with last summer’s peaches in the freezer, and scraps of pie dough also in the freezer, I came up with a pie plan for this morning. Here’s the result in the very lacking two dimensions. I already ate a piece this afternoon, and found that the peaches did not make it through the winter with much of their flavor intact, even in the deep freeze. The scraps of crust, some of which were even older, fared much better even though they were in the freezer section of the refrigerator. All in all, it was a good use of things already on hand that might otherwise have been thrown out long ago, so I don’t feel too bad about the ho-hum-ness of the finished product. Ho-hum?? The dear bird is announcing anything but that. A pie of any sort around here is an event! What a delightful looking pie! 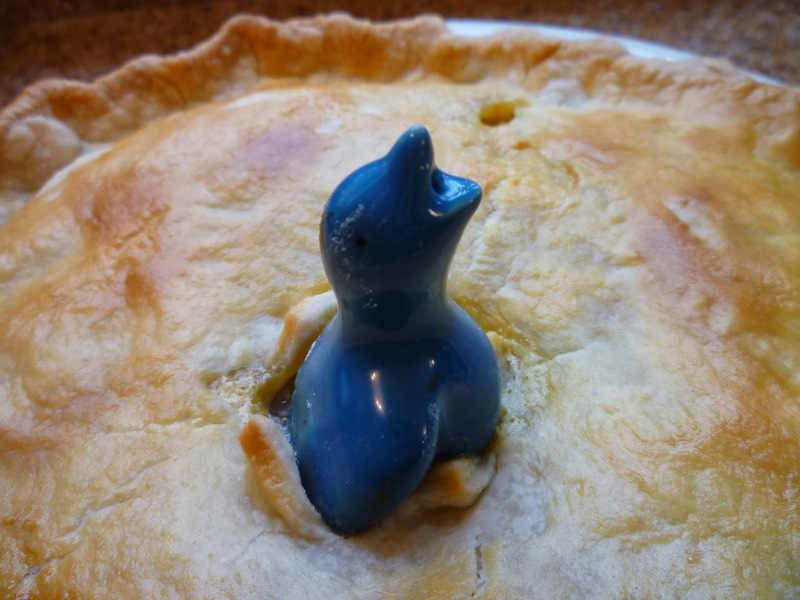 The sweet blue bird bursting out of the buttery crust brought me cheer on this Winter day. It is always a good day for pie. I have always wanted one of those little birds. I have peaches, I need to make a peach pie. Something about cooking peaches always reminds me of summer. 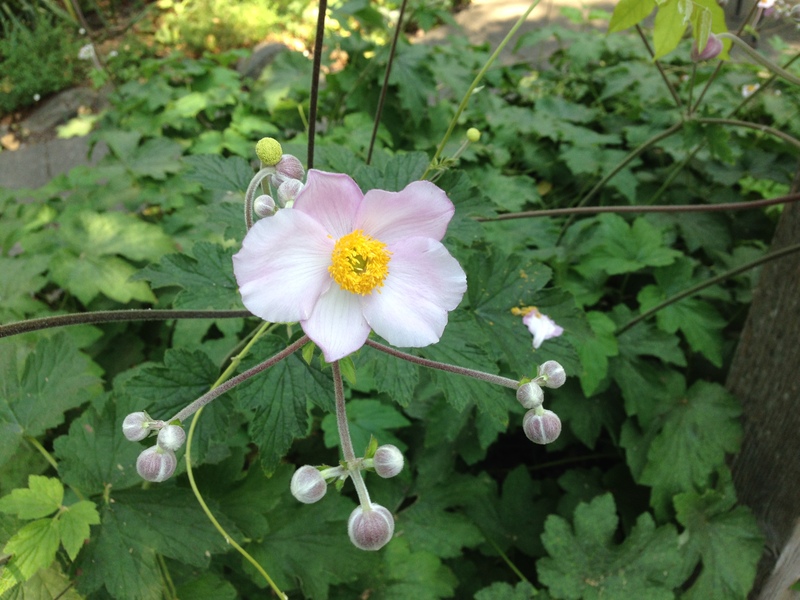 It is a very pretty pie. Oh, that is super cute!!! And yummy, too. 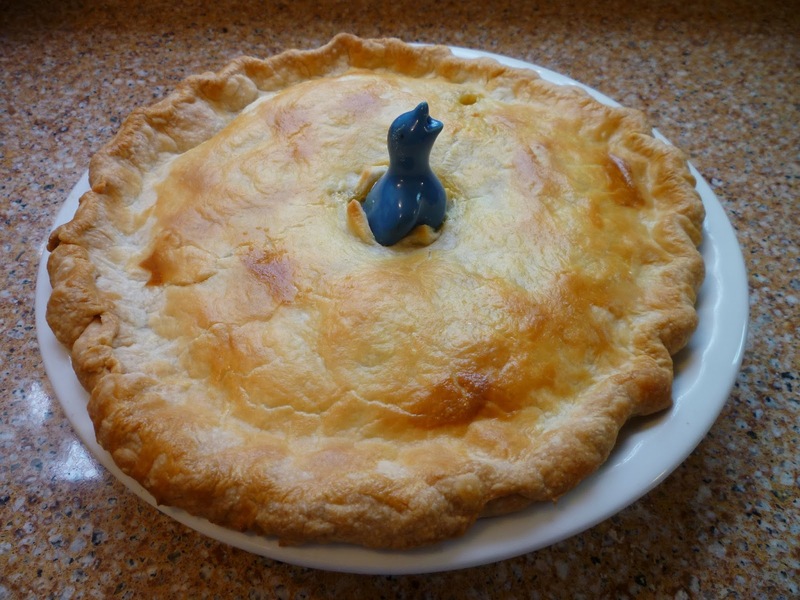 I have ever seen a pie bird before. What a great idea! Pie may just be my favorite food in the whole world. Any pie. I'm not picky. I love the bird! The first time I saw one of those birds was in an issue of Country Living about two years ago. I've wanted one ever since. Regardless of the taste, the look is certainly good! He's a cutie bird, and I love his color.